Origo is a coffee shop situated in Bucharest's Old Centre, on Lipscani St., one of the most famous streets in Bucharest. Fresh brewed coffee, a selection of natural delicious teas and cocktails in Lipscani's well kept atmosphere of the Little Paris - as Bucharest was once called. Very close to Energiea and Expirat. 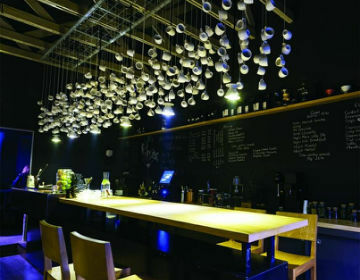 Locals in Bucharest have reviewd Origo - Cafés in Bucharest. You can find here description, reviews, address, map, phone, website of Origo in Bucharest. Visit Bucharest Tips for more Cafés in Bucharest!